Wrap #1, cottolin warp and cotton weft. Woven white-on-white, then hand-painted and then hand-dyed with shibori technique. 335 GSM. How it is made and more pics. Wrap #2, with specks dyed Mulberry spun silk and white cottolin warp. GSM 320. More pics! Wrap #3, with the SeaSilk and 297 GSM. Wrap #4, with Supima weft. Wrap #5, with SeaSilk and 277 GSM. 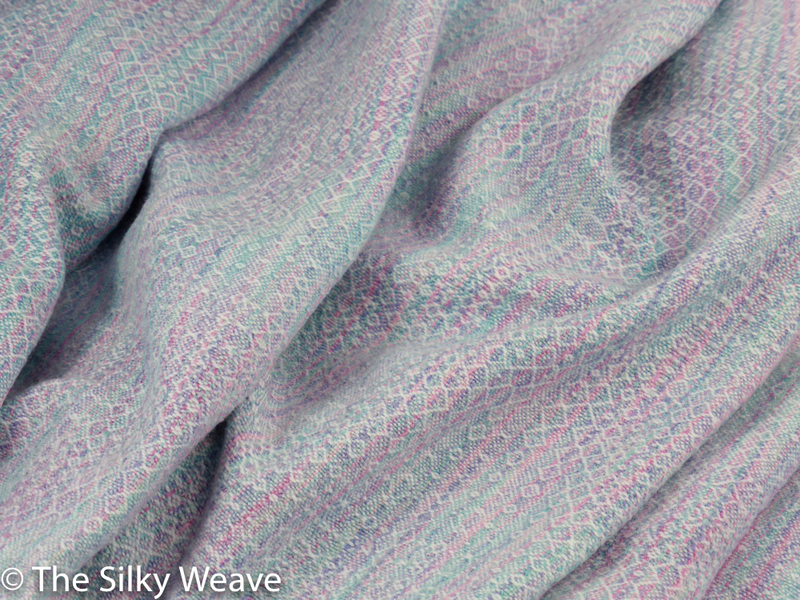 Short pieces, with silk and seasilk wefts. Available for purchase on Etsy.